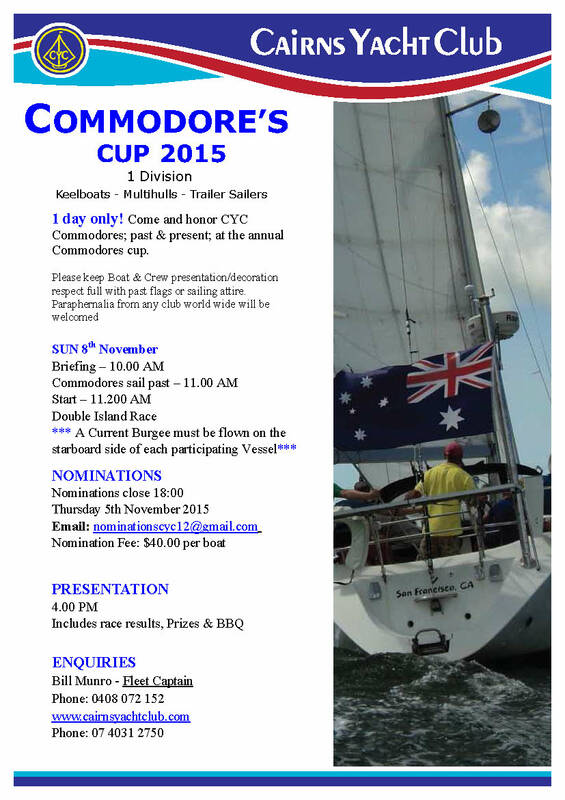 The CYC invites all members and interested yacht owners to join us for the 2015 Commodores Cup. A annual social competitive event which bring all member of the cairns sailing community together for a great day on the water. Hope to see you there.. BYO club pennants from around the world.